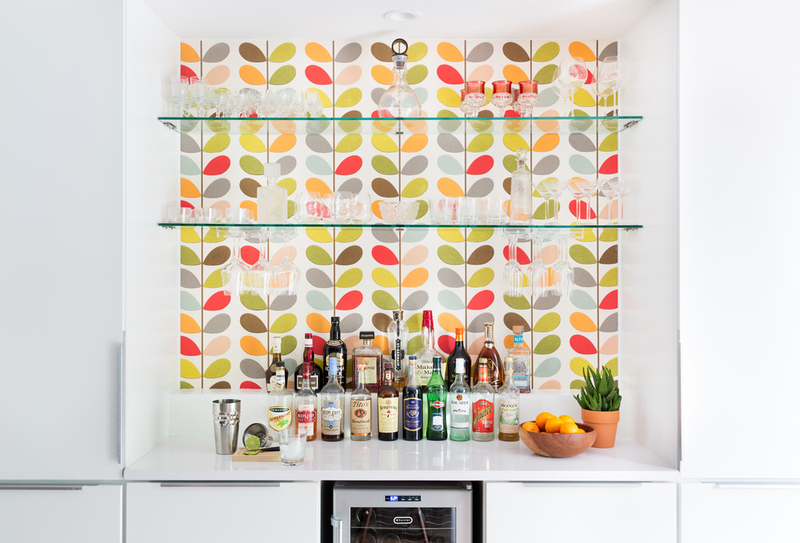 Orla Kiely wallpaper provides the backdrop for this new bar area with a wine fridge below. 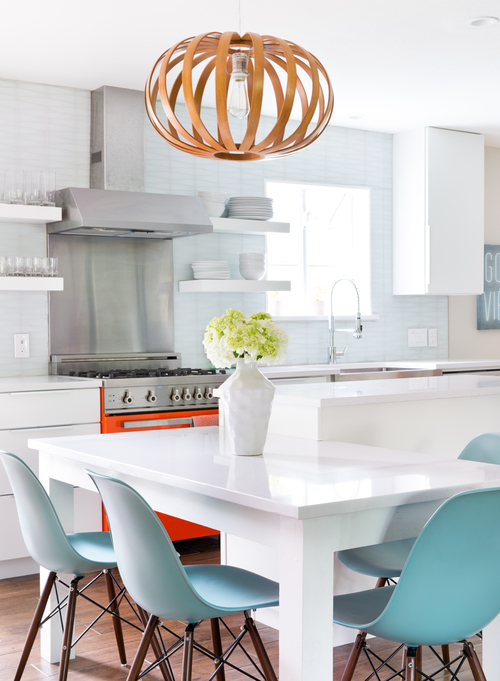 Because the couple owns an event company and loves to entertain, seating and flow was a major factor in the kitchen renovation. A corner that was once the dining room is now an island, table, and an upbeat bar area. Given a closer look, you can see that the table is actually built into the countertop and made of the same engineered quartz that has just a bit of light speckling. This two-level island makes a rough L-shape and created a way to have another dining area without taking up too much space. With new cabinetry, a wine fridge, and an eye-catching wallpaper backdrop, the bar area is a natural gathering place for guests. To see more interior design eye-candy from Becca, visit beccastephens.com. Connected to the island, this kitchen table provides extra seating without taking up much space.